Sometimes you just want to keep things simple. 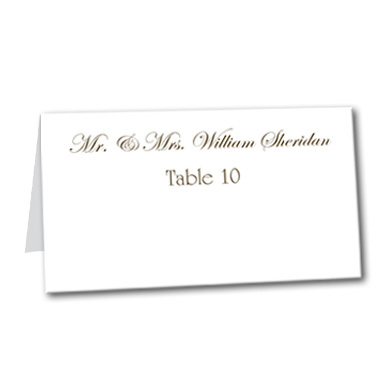 This blank table card is an elegant way to do just that. Whether you can't seem to find the perfect match to your current wedding invitations and save the dates, or you just want something more refined for the reception itself, this table card is sure to accommodate. It features a plain white backdrop and is customized for your personalized message and font. Blank Table Card For the best experience, we recommend personalizing your stationery on a desktop computer.